The most important step in extricating passengers from a damaged vehicle is the very first one: stabilizing the vehicle. Without proper stabilization of the vehicle, both occupants and rescuers are at significant risk of injury. Consequently, the proper use of vehicle stabilization struts is critical. 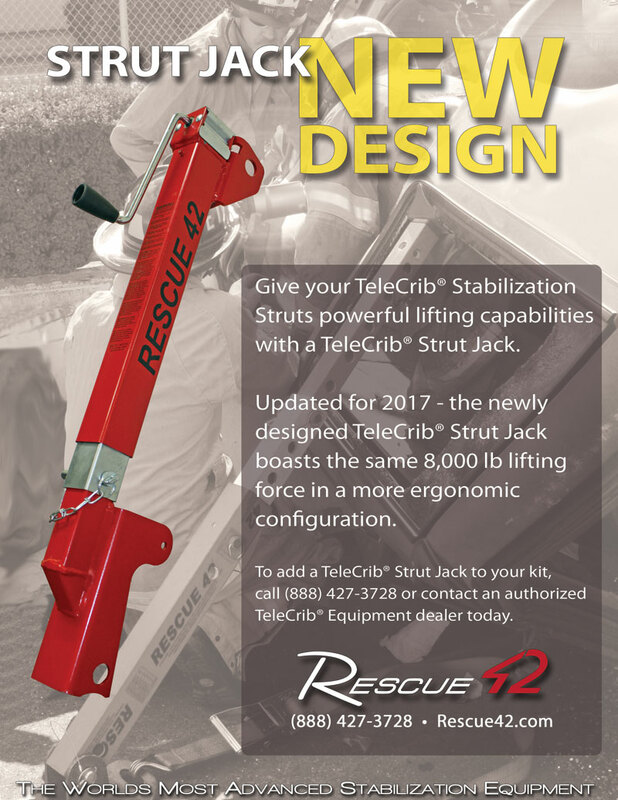 Rescue 42 TeleCrib® Junior struts are “rapid attack” type devices that are easily deployed, as demonstrated in our training video. Made of the same DuPont™ Kevlar® infused composite as our full sized TeleCrib® System, these struts weigh just 38 lbs. but support a working load of 5,000 lbs. with a 2:1 safety factor. The struts are quickly extended, with integrated pins. A two-strut, single-strap pass through is a quick and efficient way to stabilize a side-resting vehicle. The triangle created by this technique is strong and rigid, eliminating vehicle movement. Final ratcheting tightens the strap between the two struts and secures the configuration. As shown in the video, a vehicle can be stabilized using the TeleCrib® Junior struts in minutes. These struts can also be used in a ‘prop’ style configuration by leaving the strap attached to the head and hooking one of the hooks into a purchase point on the vehicle. By tightening the ratchet strap, the ‘prop’ is secured to the vehicle, restricting movement. In either configuration, the TeleCrib® Junior stabilization struts provide a fast and safe working environment for patient care and extrication. If you have questions about our vehicle stabilization struts, or any of our products, please contact us by phone at (888) 427-3728 or email sales@rescue42.com. We also encourage you to check out our other training videos. Seeing our struts in action is one of the best ways to know if they are right for your needs. 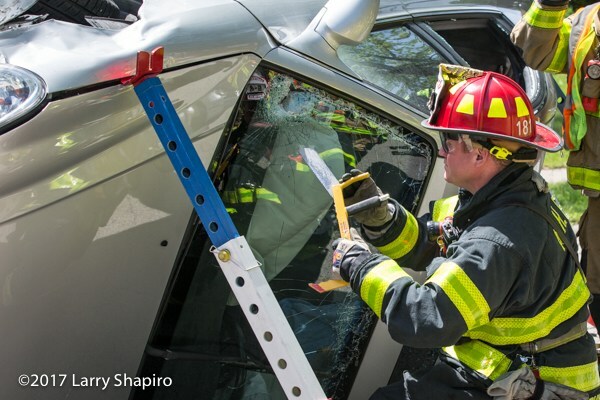 *Rescue 42 TeleCrib® composite struts contain DuPont™ Kevlar® fiber. DuPont™ and Kevlar® are trademarks or registered trademarks of E.I. du Pont de Nemours and Company.